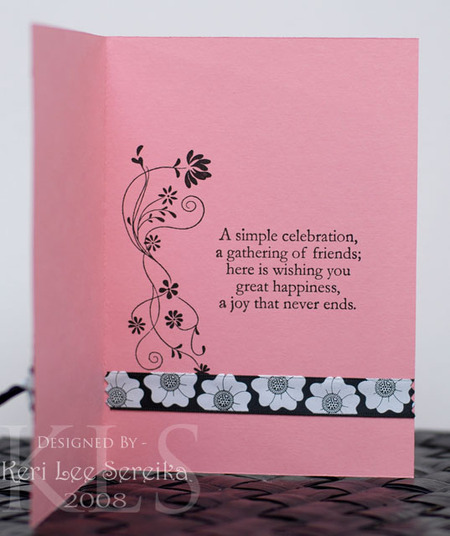 Today I hostessed our Carolina Girls stamp get together...we have one a month and this month was my month to have the gang over...we had so much fun...just being able to chill out and stamp for fun without taking it too seriously is something I have missed lately...I think once my DH is home I am going to plan a stamping date for myself where each week I just stamp to have fun...just to do whatever...and I think I will also plan to go to a crop out of the house each month...maybe twice a month...just to have some time away from all the household hubbub and get my fill of friends!!! :) I just love getting together with girlfriends and creating! Ok so anyway, this week over at CPS there is a super fun sketch! It is basic but really fun! So you should hop on over and play with us!!! Here is my card for the week!! Note the gray hues??? I predict gray is coming back in...I am noticing it in more and more places and there are alot of "grayed out" hues that are really hot right now too! 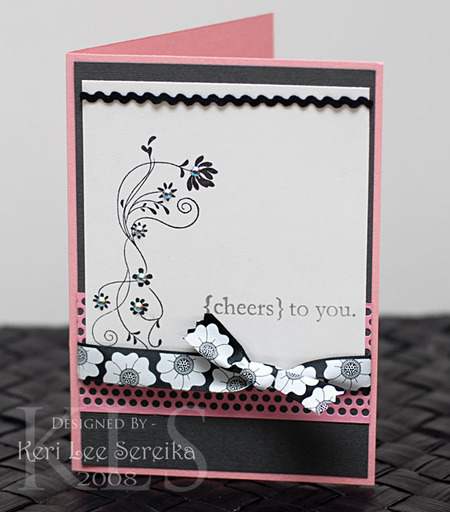 So over the next few weeks expect to see me working with more "gray tones"....I personally love gray...it is so simply elegant to me...anyway...here is the card! LOL ETA: Inside shot of card!